We are a family-owned and -operated HVAC company with over a decade of experience. Our mission is to provide the highest level of service and comfort to our customers. That’s why we provide 24/7 emergency service and effective maintenance contracts. Our maintenance program will keep your HVAC system in top condition and help save you money. Our #1 priority is putting the customer first, which is why we offer our maintenance program in three tiers. Each tier is designed to meet the needs of any homeowner, depending on their budget. We highly recommend investing in a maintenance agreement because preventative maintenance has tremendous benefits. The answer is yes! Regular HVAC maintenance is extremely important. 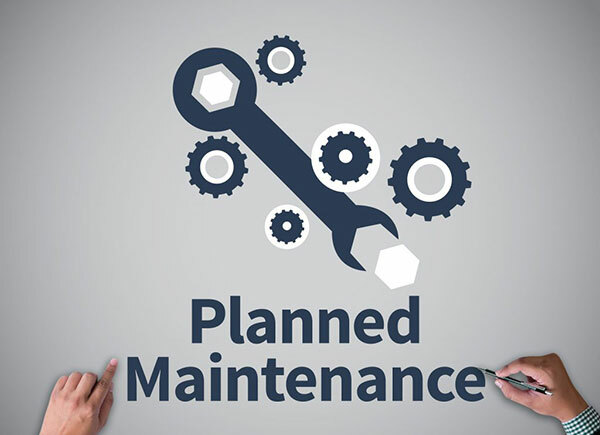 Preventative maintenance is intended to keep your heating and cooling system running all year long with no surprises that can be costly and unexpected. Another reason to have your system tuned-up is to make sure it’s running at a high level of efficiency. What would happen to your car if you never had the oil changed or took it into a shop for a tune-up? The same is true for your home’s comfort system. No matter how good or expensive your equipment is, regular maintenance is a necessity. Annual maintenance is essential to both your heating and cooling system. What Can You Expect From Your Tuned-Up HVAC System? Fewer repairs: Having a trained professional examine your system on a regular basis will help you find potential problems like a clogged coil, dirty filter or leaks that if left unchecked can result in expensive repair bills. Family safety: If your furnace develops a crack in the heat exchnager, carbon monoxide gas can escape and poison the air you breathe. An electric short circuit can cause a serious fire hazard if ignored. Your family’s safetly is one of the best reasons to have regular HVAC maintenance completed. Longer equipment life: One malfunctioning part on your furnace or air conditioner can lead to a domino effect down the road. The changes of this happening are less likely when you have a professional technician performing regular maintenance each season. Regular maintenance can add years to the life span of your equipment. APS and SRP have conducted surveys showing that energy consumption could increase by 30-40% by having dirty coils. Having a slight refrigerant undercharge by only 10% can increase the operating cost by almost 20%. Yearly HVAC maintenance can eliminate serious repairs. Certain air conditioning and heating problems can double operating cost without reducing your comfort. In other words … you may feel comfortable without knowing that you are throwing money away or may have a costly repair in the making. According to APS, a recent study found that more than 55% of existing AC units had issues causing them to waste electricity in summer and winter. Our team of HVAC specialists can help you with all of your heating and cooling needs. Our technicians are NATE®-certified and we have an A+ rating from the Better Business Bureau. Integrity. Knowledge. Quality workmanship. These are the things you can expect from Cool Zone Air Conditioning and Heating. Contact us here or call us at (623) 322-0933 to get a maintenance service agreement or to learn more about our services and products.